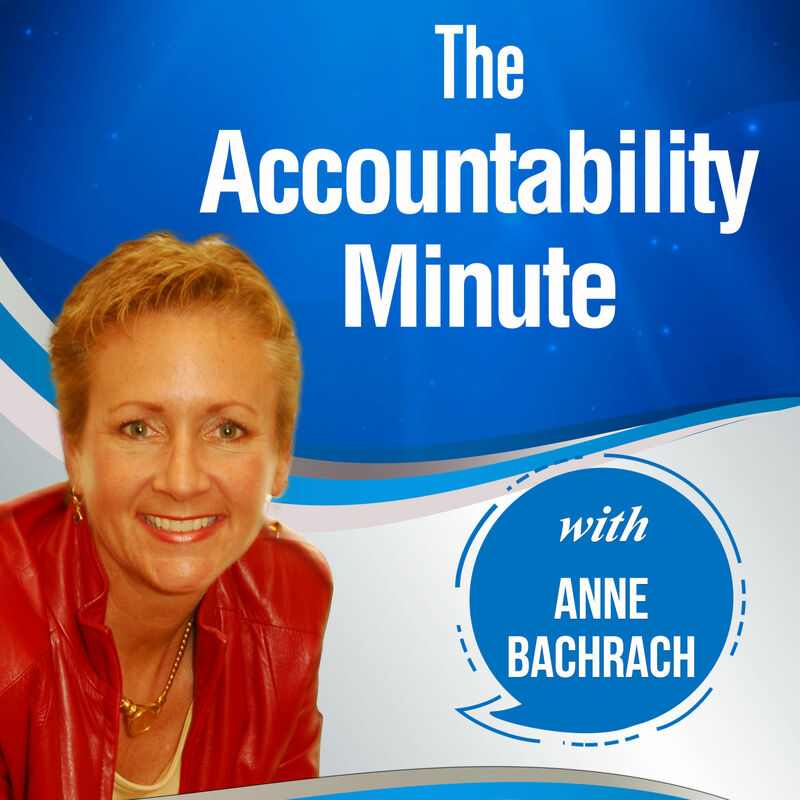 I’m Anne Bachrach and for over 23 years I’ve been best known as The Accountability Coach™. Did you know that the #1 reason people don’t get what they want is lack of accountability? If you want to make more money and work less, accountability is for you. Are you sick and tired of your business just making you sick and tired? You know the drill. You invest a lot of time in building and growing your business. You make many personal sacrifices. You hope that the trade-off is more clients, more revenue, more progress toward your goals, and more prosperity so you can enjoy the business and life you truly want. Good intentions don’t magically lead to good results. They are a start; however, they are unfortunately not enough. This is just the truth! Poor follow through takes a toll on virtually every aspect of our lives. It not only threatens our health, it also prevents us from achieving personal, financial, and career goals that are well within our reach. When you are held accountable to the activity required to achieve your goals, you will make more money, be able to work less, and enjoy even better work life balance. If this sounds at all like something you want, you are in the right place to accelerate your results! Sure, many entrepreneurs say they are committed to their success, but are they really? When it comes to commitment to your success, there has to be a “no excuses - no exception” rule to back it up. This rule is especially true for entrepreneurs, simply because there is no one to point the finger at should things not work out as planned. As an entrepreneur, you are the one holding the key to your success and no one, but you, can be held accountable. Once you make a commitment to something, there absolutely has to be a “no excuses - no exception” rule, because that is the only rule that separates the failures from the successes. 1% percent of your clients would be unhappy with your product or service and proceed to tell 10 of their friends. Those people would proceed to tell their friends they had a friend that had a bad experience. This could translate into dozens of lost clients and thousands in lost revenue. 1% of your printed marketing materials were published with spelling and grammar errors. This has a devastating effect on any business with a poor perception from the public and potential clients. 1% of the time you don’t answer your email from a prospective client within 24 hours. You respond a few days later, but learn they have taken their business to someone who responded promptly. See how much of a difference there is between 99% and 100% commitment? Although 1% doesn’t sound like much, reaching 100% commitment at every opportunity is not always easy. The only way to truly hold a reputation for commitment is by consistently demonstrating 100% to each and every task. Once genuine commitment is displayed, your success is inevitable. There are two rules when it comes to your success, and a sure-fire way to catapult your success, but they only work when you are 100% committed! If you get value from these Podcasts, please take a minute to leave me a short review. I would really appreciate it. Let me know if you would like me to talk about certain topics that you feel would be of value to you. Take advantage of the complimentary business tips and tools by joining the Free Silver Membership on https://www.accountabilitycoach.com/coaching-store/inner-circle-store/. Check out all the great free high-content training web classes, by going to https://www.accountabilitycoach.com/free-articles/free-webinars/. Want more from The Accountability Coach™, subscribe to more high-value content by going to https://itunes.apple.com/podcast/accountabilitycoach.com/id290547573. Business professionals and entrepreneurs who utilize Anne Bachrach’s proven business-success systems make more money, work less, and enjoy better work life balance. Author of Excuses Don’t Count; Results Rule, Live Life with No Regrets, No Excuses, the Work Life Balance Emergency Kit and more. Get your audio copies today.